Reading and share top 1 Barnaby C Keeney famous quotes and sayings. 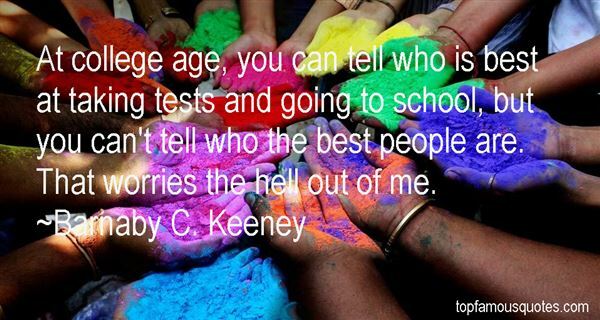 Browse top 1 most favorite famous quotes and sayings by Barnaby C Keeney. History's lesson is to make the most of reform opportunities when they arise because they do not arise often and they do not last long."